We have recently become a society in which it is normal to walk into a restaurant, sit down, and ask for the wifi password. For some people, it is just as normal to walk into someone’s home and ask the same question. 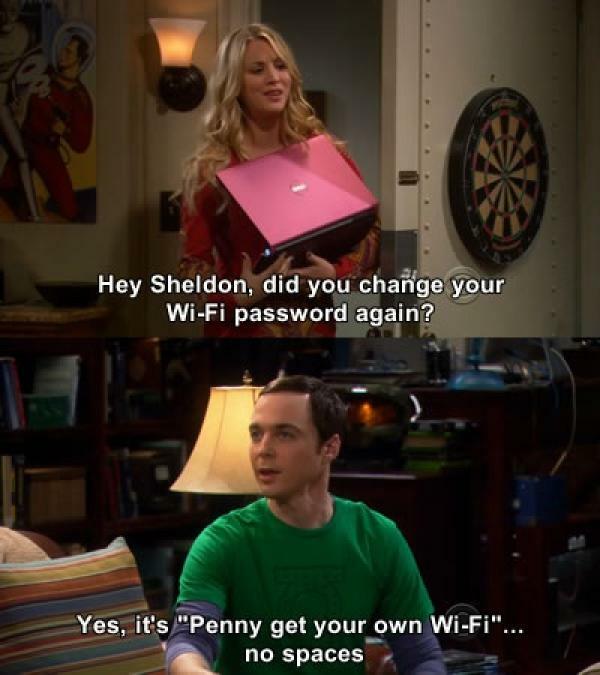 In restaurants, the servers are normally quick to give up the password. A few restaurants and malls either gather more information or push advertising at the users in exchange for this free service that has become standard, but many just offer it because it’s one of the things we now expect. Like a glass of water or a napkin. According to this article in Hospitality Technology, restaurants are well-advised to give into this new trend. Besides allowing restaurants to better satisfy customers’ mobile connectivity needs, boost sales and cultivate repeat business, free Wi-Fi helps to attract patrons who might otherwise dine elsewhere. The debate about giving passwords to houseguests has been going on online for years, but now one of the highest authorities on manners has weighed in. This column from around 2010 raises the question, the writer is in favor of providing it, but many of the commenters, at that time, seemed to be against giving the password away. Too personal. Three years later, a blogger asks the question and the comments are generally in favor of providing the password right away to overnight guests. The blogger still feels that it’s somewhat of an invasion, plus she can’t find the password without a lot of effort. If you were invited only to dinner, Miss Manners fears there is no good time to announce that you have more pressing things to do than enjoy your hosts’ and other guests’ company. If you are a longer-term guest, the same is true, but the excuse might be better — checking flight information being more acceptable than checking dating Web sites. But her larger point is still that guests should not assume that hosts will provide wifi. Will this distinction hold up over time? Guests of all kinds do have some fairly normal expectations, such as use of a bathroom, something to drink, dinner, etc. In spite of the reservations many of us still have, it is increasingly common for people to simultaneously converse, have dinner, attend events, and play games while in fairly constant communication with others over social media. While some may resist this trend, I suspect that giving guests the house wifi password will soon be as normal as telling them where to find the bathroom. Stay up to date with social good tech! Like what you see? Enter your email below and we will send you other awesome articles once a month about tech in the social good sphere, written, or currated by Mobility Labs. The team discusses hackathons and startup weekend in particular.